One-man brutal death metal machine, Kraworath, recently saw both of their full length albums, Instinct to Kill and Purification Through Pain, reissued by UK-based underground label Cold Raw Records in a limited run. Both albums were initially issued through the Russian-based More Hate Productions. The band’s debut, Instinct to Kill, which was released in 2014, was a fairly by the numbers brutal death metal album. 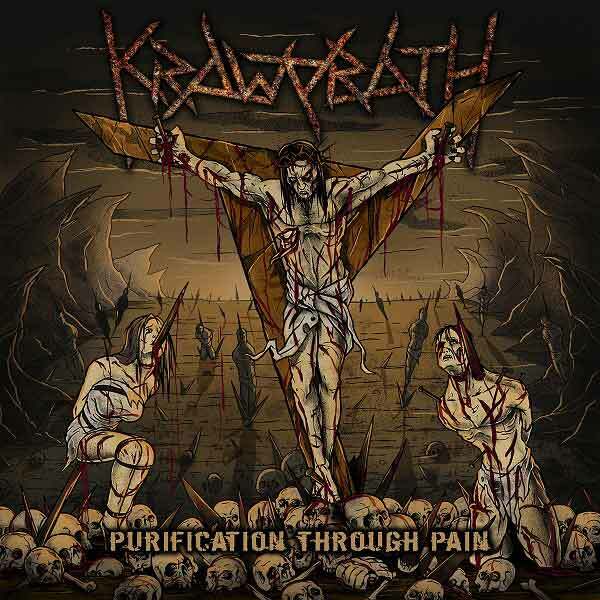 With the follow up, Purification Through Pain, Kraworath bring a more focused and devastating sound while pushing a little further away from a standard blast and destroy sound. Completely written and performed by Roman Kartashov, Purification Through Pain bring ten tracks running just shy of the thirty-five minute mark. Everything that made the debut so punishing is here; razor sharp riffing, bass heavy chord progressions and fast paced drumming. Rather than just putting the band on cruise control and belting another album out in similar fashion, certain elements were honed into a sharper and more damaging sound. The riffing is precise, balancing between chugging progressions and blazing fast trem riffing while the drums annihilate all in their wake. Much like the debut, there isn’t a lot of variation in the drum programming, bringing a lot of fast paced snare hits and blinding double bass runs, but it gets the job done without being overly flashy. It’d be nice to hear to this with a live drummer, though. Kartashov’s vocals are deep and bellowing and, while pretty decent, seem to be par for the course. The music is fast and unrelenting, but the sporadic, and thankfully short, breakdowns provide some much needed adjustment to the tempo. 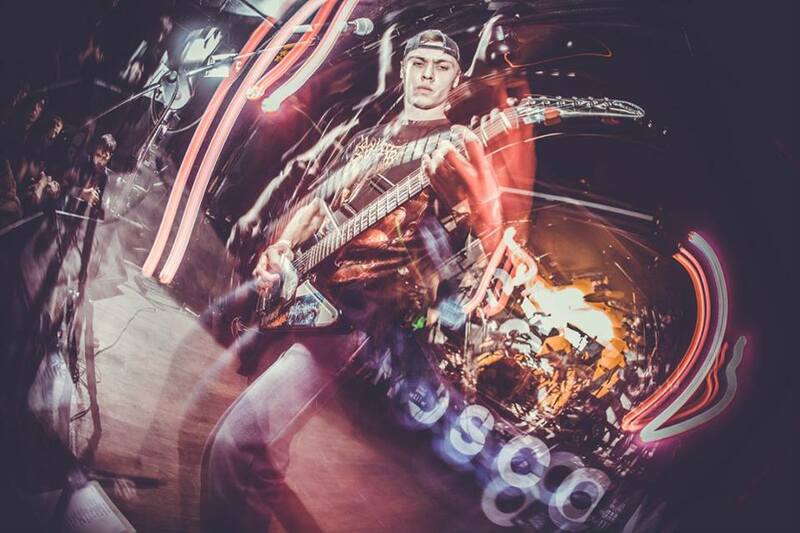 The leads have also improved markedly, abandoning the proggy style of technical death metal in favor of a few short bursts of proficient leads, leaving the focus to remain on the razor sharp riffing. There is also a large spoken word segment, appearing at the start of the start of the final track, which is quite disturbing, but sets the tone for the punishing closer. Purification Through Pain is a much stronger album than the debut and, although it’s constantly firing on all cylinders, manages to sport more variety in tempo and songwriting. Kartashov’s songwriting has certainly gotten stronger; enough so that Kratowrath should definitely be mentioned in the same breath as Russian brutal death stalwarts 7.H Target and Abominable Putridity. It’s an impressive album, given that everything is performed by one man, but I can’t shake the feeling that a live drummer would bring Kraworath onto a whole new level. This entry was posted in Reviews and tagged 7 H. Target, Abominable Putridity, Brutal Death Metal, Cannibal Corpse, Cold Raw Records, Deicide, Katalepsy, Kraworath, Purification Through Pain, russia.